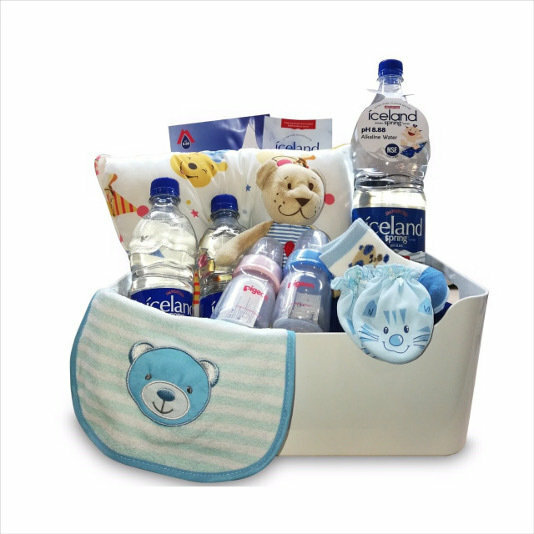 The minerals contain in Iceland Spring Water helps to promote the building up of calcium for breastfeeding mothers. This gift set includes a high quality cotton neck pillow, socks, gloves, sponge and Baby bottle with Pigeon Certified Standard. 2 x Pigeon baby milk bottle size 2oz. © 2018 by Iceland Spring Thailand | H2O Hydro Co., Ltd.